Are you thinking about selling your home but confused about which remodeling projects to start or updates to make? You want to invest in the projects which will bring the most return but don’t know what those are? I decided to address the issue this month because I know a lot of you are asking these questions and if you are even thinking about selling….now is the time! This real estate market is still very hot. According to our association, MIBOR, January 2016 sales were up 8.2% over January 2015. Sales prices are also increasing. We saw a 3% increase in the average sales price over the past three 3 months. However, even with low inventory, a home needs to be in great condition and competitively priced to sell quickly. Let’s take a look at ways to put your home in great condition! My first suggestion is to keep up with your home maintenance while you live in the home. Why put up with that leaky faucet and then repair it for someone else to enjoy? Do it now! When evaluating your home in preparation for selling, take a step back and look at your home from the buyers’ perspectives. They want move-in ready which translates to little or no work for them to do. 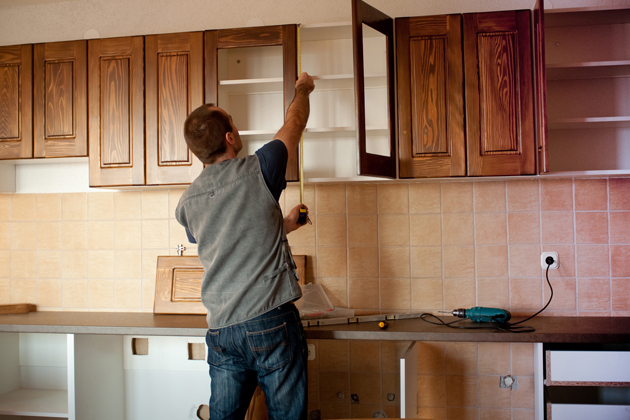 If you are not sure where you should begin, here are a few questions to ask yourself: How updated is your kitchen? Are the appliances old or outdated? Do they need a good, deep cleaning? Do your kitchen countertops need updating? (Is that butcher block from the 80’s still there?) Does any of your flooring need to be replaced? Do you have a lot of brass in your home? If new countertops are part of the remodeling plan, there are many choices available. Be sure to add a decorative edge for even more appeal. In our area, if your home is under $200,000 I would recommend one of the beautiful laminates which mimics granite and at a fraction of the cost. If you are above $200,000 then you definitely want to install one of the solid surface countertops. Shop around and determine which is best for your style and size of kitchen. If your home is $500,000+ then quartz may be the way to go. Beverage centers are popular now – so turn that Butler’s Pantry or unused area of a kitchen cabinet into a Coffee/Wine bar. Buyers will love it! Some simple updates you can do with a small monetary investment are fresh paint, de-cluttering (then de-clutter some more) and updated light fixtures. Cleaning the cabinet surfaces and installing new hardware can make a significant transformation in the kitchen. Remove the brass! I know it is not fun…but get rid of it! Not all your updating or remodeling projects will have a significant return on your investment, but an updated home will attract more home seekers and sell faster. If you need help finding product vendors or contractors, please contact me. I have an entire list of people and I can help you!